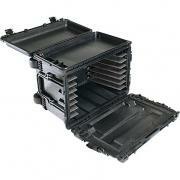 Designed for rough handling and transport in extreme environments. Rapid deployment to harsh environments is common, and arriving with your tools intact and fully functional is mission critical. 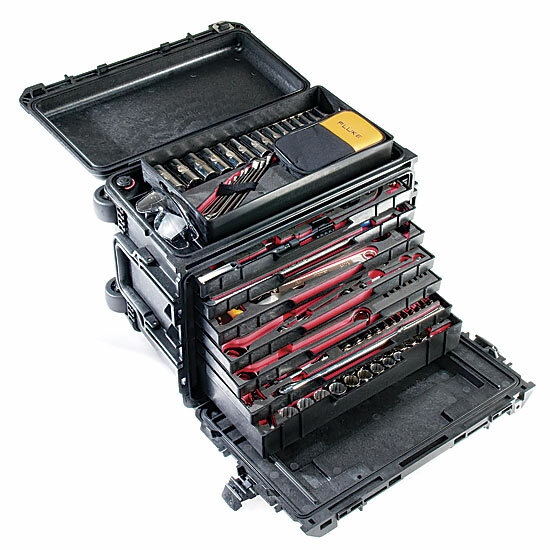 Over a two year period of intensive design, research and testing, Pelican has built the world's toughest mobile tool chest for use by the U.S. Armed Services. Over 70 tests were required, including water submersion, extreme temperature tests and drop tests from five feet fully loaded. The 0450 passed all of them. 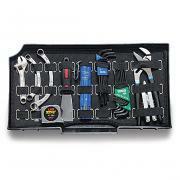 The 0450 Mobile Tool Chest is now ready for civilian use. Custom Foam and Tools Available Separately (contact us for details). Easy access beneath the top lid gives you a extra storage space of 20.6" x 10.64" x 3"
Inside Dimensions: 20.5" x 10.9" x 12.6"
The modular design of the 0450 Mobile Tool Chest allows you to adjust the number and position of glides to accommodate a multitude of drawer configurations. Fits up to 8 Single Deep Drawers(65450DS) or a combination of Single, Double(65450DD) and Triple Deep Drawers(65450DE). 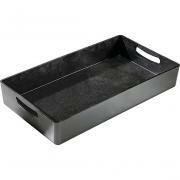 Drawers and Tray sold separately. 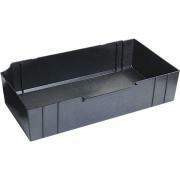 Description: Single Deep Drawer for Pelican Mobile Tool Chest. Description: Double Deep Drawer for Pelican Mobile Tool Chest. 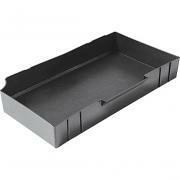 Description: Triple Deep Drawer for Pelican Mobile Tool Chest. 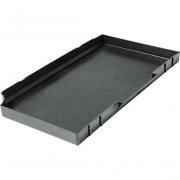 Description: Top Tray for Pelican Mobile Tool Chest. 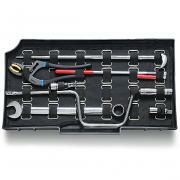 Description: Horizontal Tool Pallet for Pelican Mobile Tool Chest. Description: Vertical Tool Pallet for Pelican Mobile Tool Chest.